Price reduced from $210K. 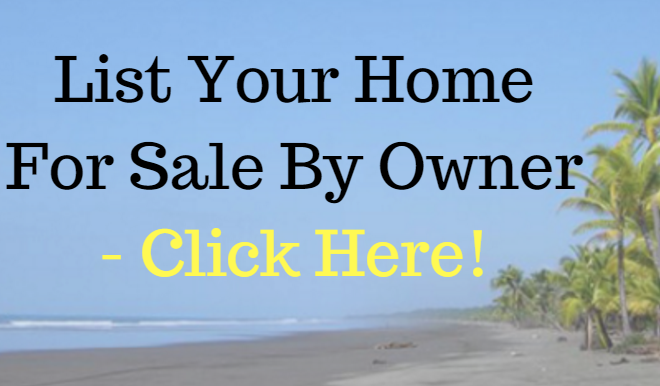 This two story, detached Los Jardines town home for sale is offered under market price now, for a quick sale. 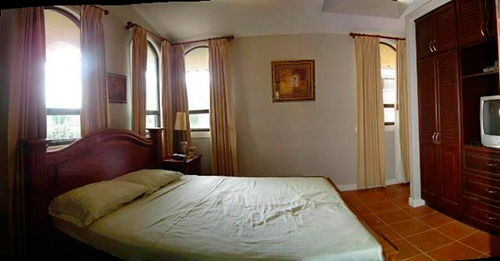 It is also offered for rent, fully furnished and equipped at $1,450, which includes the condo fee. This beautiful furnished and equipped 1,423 sf home + parking for one car has two bedrooms, 2 ½ bathrooms and a 2nd floor covered terrace. 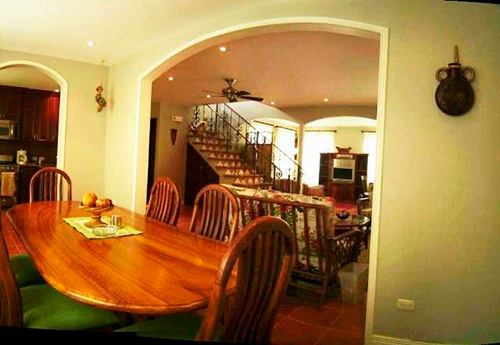 This is a very nicely furnished Los Jardines town home for sale with a good floor plan for those wanting two floors. The living room has a three seat sofa, love-seat and chair of sage green microfibers with complimentary wrought iron and granite end tables with lamps and coffee table. The dining room can also be accessed from the kitchen and, while being a defined space separated from the living room by an arched partition, it has a round glass topped table and six (6) comfortable padded chairs. The den, which is visually integrated with the living room/kitchen/dining room area also has windows on two sides. Seating which consists of a pull out foam sofa bed faces a wooden entertainment center with stereo system and a 42? flatscreen TV and display shelves. Open concept kitchen with breakfast counter, dining room, living room, and den. The kitchen is “U” shaped and has a stainless steel refrigerator, 6 burner gas range, and microwave/exhaust space saver unit. Also, the cabinets have granite counters and a full granite back splash with valence lighting. The kitchen breakfast counter seats three. The master bedroom has a queen bed, louvered closet with drawers, hanging space and shoe rack as well as overhead storage. A space is provided for a built-in TV for bedtime viewing. There is additional built in storage space for linens. The master bathroom on the second floor has a corner Jacuzzi, separate shower, WC, and very wide vanity with a make-up table. The 7′ granite vanity with built in medicine cabinets at either end, is faced by a mirror framed in wood. The vanity is lighted by indirect valance lighting. There is a skylight providing natural light in the center of the room as well as recessed halogen lighting. An en-suite three piece bathroom is adjacent to the 2nd bedroom. On the ground floor is a powder room — guest bath. The covered balcony of this Los Jardines town home for sale is accessed from the 2nd floor hallway. It faces east. Also, an outdoor round glass table with seating for 4 allows room for additional casual chairs. From here there are views of the western and southern mountains. A stacked washer/dryer is hidden in a closet. 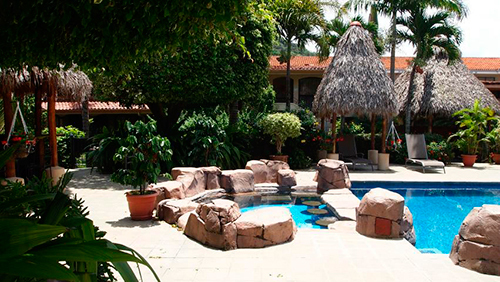 Few communities in the Costa Rica Central Valley offer a resort lifestyle as Residencias Los Jardines in Santa Ana does. 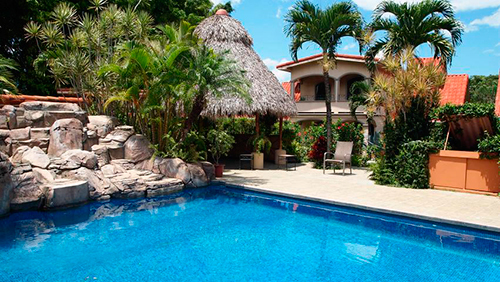 Los Jardines is a gated community with extraordinary gardens, pools, gazebos and security. 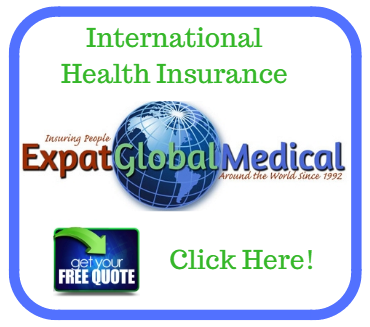 You will not be able to find anywhere in the Central Valley of Costa Rica.